I realize that the above picture is foggy at best, but I'm actually doing you a favor. I didn't want to risk shocking you into a stupor with a vibrant version. See, we can deal with the Bamboo Earrings, right? In the throwback department, on a good day, we can even handle blazers with shoulder pads and high-waisted hot pink skirts. 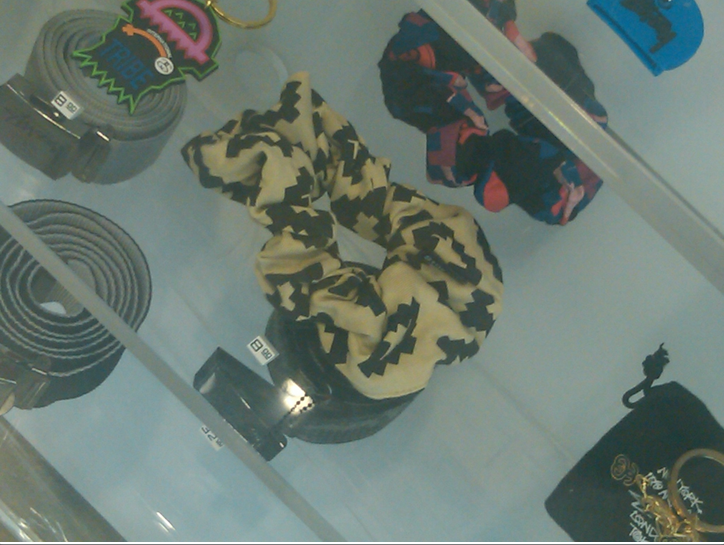 But something is just NOT right with the world, when we walk into the Stussy store on La Brea to find prominently featured scrunchies in a glass case. I am just going to go on record and say that I have to draw the line somewhere and, for me, scrunchies are not acceptable accessories in any urban jungle, even meant ironically. I don't care who says otherwise. Scrunchies cannot be ironic. Because no matter what the intended statement, you still look frumpy. 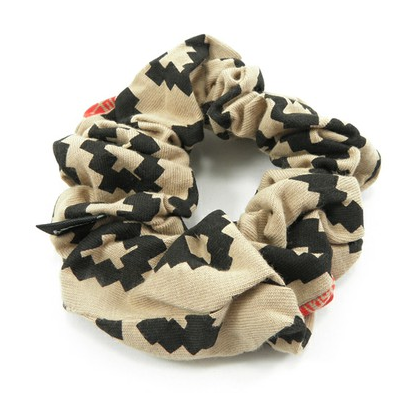 Scrunchies are for suburban soccer moms. At the mall. On laundry day. In 1984. And maybe hipsters trying too hard. Period. No, let me rephrase that: Exclamation point! Expletive, expletive, expletive! Phew. I'm glad I go that off my chest. And off my neck. With a scrunchy. Just kidding! Beware of vibrant images below.